Welcome to our Ipe Decking & Accessories page. We offer all of the hidden fasteners, deck boards, and Ipe framing material needed to build your deck. 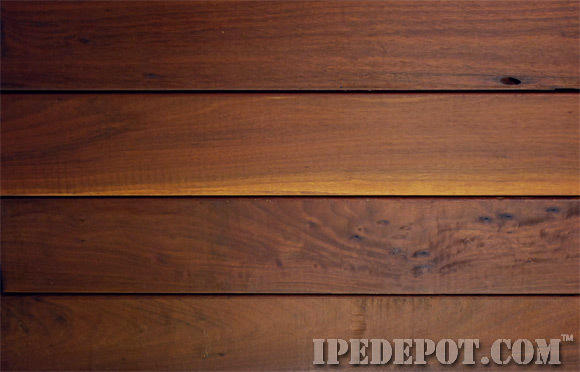 Our Ipe is selected to offer great color and high density. 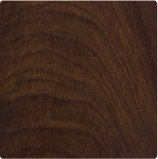 We directly import our Ipe decking products from South America and by working with the logging companies, we are able to hand select the finest Ipe and provide it to our customers at great prices. Rob Pelc, owner and operator of Advantage Trim & Lumber personally visits each of the logging mills to inspect and select the Ipe he uses for his products. See Rob at one of the Brazilian Ipe decking mills by clicking here. Click here to see why Ipe is the best decking material in the world! If you have any questions, please contact us! 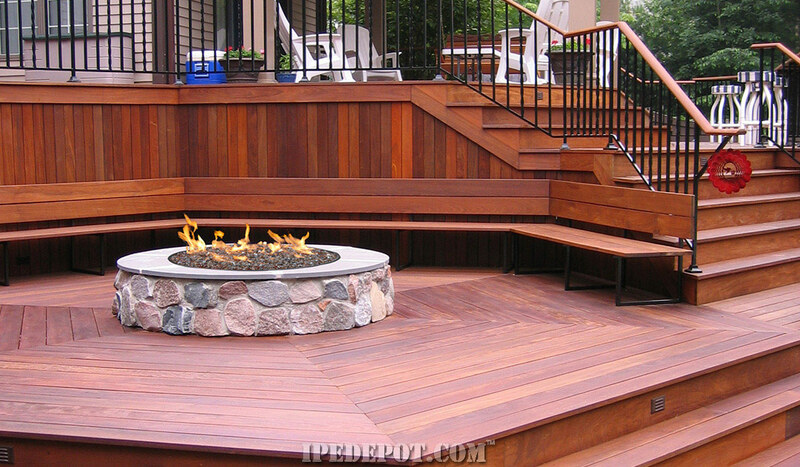 Ipe is such a hard, dense wood it does require a little different method of installation than other decking. Click here to read more about it. Our beautiful Ipe porch decking installed at the prestigious Founders Club in Sarasota Florida. Tongue & Groove is recommended for use under a covered porch roof. B-grade Ipe Decking contains defects such as knots, milling errors, pin holes and other irregularities. These defects can not be included in our standard clear Ipe Decking. But we are offering this B-Grade Decking to our customers at a drastically reduced price. Check out the savings BELOW!!! The IPE CLIP ® System - An edge mount deck fastening system. No surface screws showing! Click here to learn how the IPE CLIP ® System works. Fiberglass Reinforced fasteners for use on 3/4", 1" or thicker material. Comes with high grade 305 grade stainless steel screws with torx drive....these are the best screws available for decking...great for salt water applications too!!! An edge mount deck fastening system. No surface screws showing! Click here to learn how the Eb-Ty® System works. Not recommended for use on 3/4" material. (1 gallon), Covers approx. 300 square feet. Specially formulated for use on Ipe Decking. 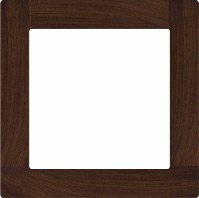 This finish was developed to enhance and protect the beauty of Ipe Hardwood Decking. (1 gallon), Covers approx. 300 square feet. Click here for more info. Clean your hardwood deck with ease. (Powder Form) Click here for more info. Brighten your hardwood deck with ease. (Powder Form) Click here for more info. This sealant is a coating for end grain cuts. Approx. 1 quart for every 500 square feet of decking. Installed using Ipe Clip® Hidden Deck Fasteners. Above: Picture of our Pregrooved Ipe Decking. With a Ipe Clip ® hidden deck fastener. The Ipe Clip ® fasteners give a deck surface free of nail or screw holes and speeds installation time. The bottom legs of the Ipe Clip ® fasteners preset the gap spacing between deck boards giving a nice uniform gap spacing throughout the deck. The stainless steel screw is driven at a 45 degree angle through the fastener, through the deck board, and into the joist. The next board then slides onto the other half of the Ipe Clip®fastener that is protruding. We are direct importers of Ipe decking so you save money and receive the highest quality. Our decking is 100% clear with nice color, which is hand selected by our own employees to meet your needs. 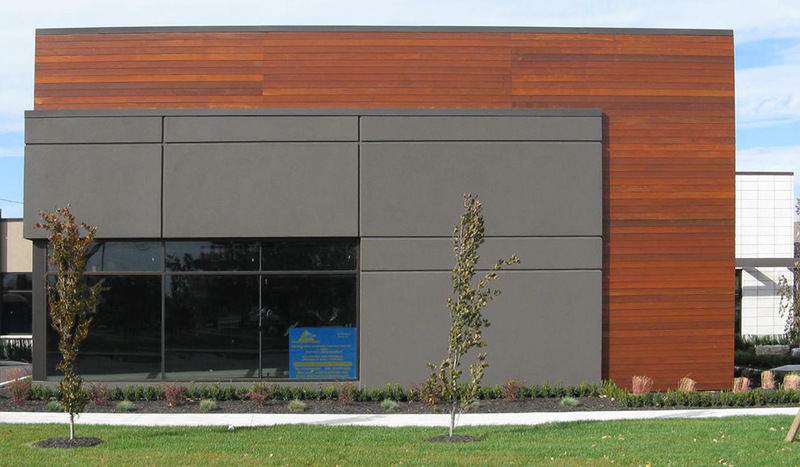 Our pregrooved Ipe system saves labor time, looks better, & is more stable. In a hurry?? ?...We can often ship the west coast in 4 days, the east coast in 1 to 3 days. Call for current order backlog. Call us toll free 1-877-232-3915 for a free sample pack. Sample packs include a pregrooved decking sample, samples of Ipe Clip ® hidden deck fasteners, & product literature. Samples of T&G Ipe porch decking & other items are available upon request.